Do you know the true power of stretching? Or do you, like many people, simply associate it with a similar (and very popular) practice — yoga? Sure, stretching is one of the key elements of yoga, but it’s also an impactful practice on its own. Stretching reduces the instances of torn or ripped muscles, not only in daily life, but prior to exercising, too. Stretching helps to increase our range of motion. And, it makes pulled or stiff muscles less of a threat than they would be had you not put stretching into practice. When the body gets out of alignment, it can cause challenges with balance, metabolism and visual acuity. Stretching in conjunction with the Egoscue method can help to re-center the body and pull it back into balance. When we are stressed, it’s natural for our muscles to tense up. The slow, calculated movement of stretching is calming to the mind and relieves tension. This makes stretching a very simple but effective way to reduce stress. One of the most overlooked components of our overall health is posture. Good posture can dramatically improve certain aspects of our physical health, and bad posture can be highly destructive — causing stiffness, soreness and aching muscles. Without properly stretching, posture suffers, and that can have deep ramifications on our mental health. Some studies have even shown that bad posture can deepen depression. 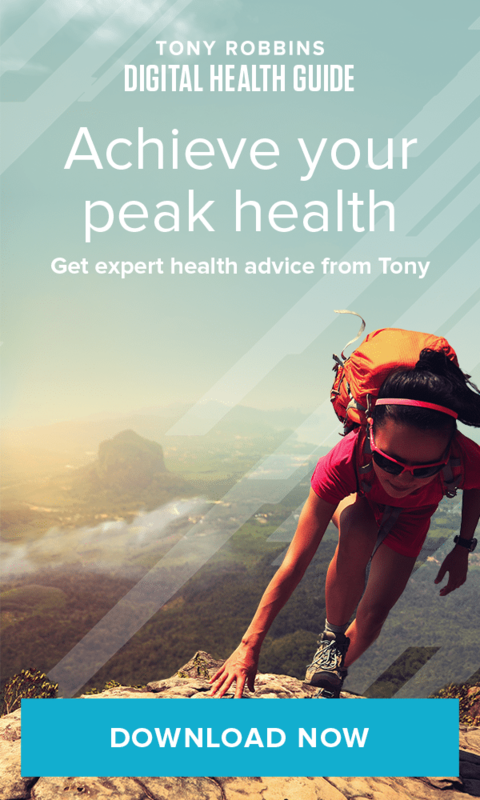 Tony has often said that our physical state directly affects our mental state. This is something you can see just from looking at the posture of those around us — you can often identify someone’s mood based solely on their posture. Watch Tony explain this in detail here. With these four benefits, it’s worth spending a bit more time on stretching — give it a try and see what it does for you. *Please consult your physician to identify your personal limitations before putting a stretching regimen into place.